A few minutes ago, I released the new version 2.4. All users who have a license can continue to use the download link from the received email. The new version fixes a few minor bugs. Likewise, the problem with the System.NullReferenceException has been fixed. Some users reported malware warnings from Bitdefender and other antivirus programs. These were false positives, which were created due to the software protection. This problem was also eliminated. The download routine for external files from external sources has been revised. The files are now downloaded in the background as soon as the fix routine is started. In addition to the changes and improvements in the software, there is now a ticket system for support within the site, as well as an area for documentation. The documentation will be filled with valuable information and tips in the coming days. There, you will also be shown frequent questions and problems and presented solutions. I’d like to say thank you to all users who understand the fee. There was a lot of positive feedback, especially because the fee also includes the direct support and I can respond better to individual problems. While there are always people who complain when they have to pay for other people’s time and work, there are still decent people who value the project. As for the allegations, I would be a cash grabber: I’ve worked on countless open source projects over the past 15 years, publishing templates, modules, software, interfaces, hacks, and more. I never asked for money because I never felt it necessary and I enjoyed helping other people. Over the last 10 years, I’ve uncovered more than 20,000 security holes, mostly at large corporations, banks and government institutions worldwide. Companies that spend millions a year for their safety. With my discovered weaknesses and my involvement with Zynga, I have protected 232 million people from attacks. But I never asked for money. I have never asked for money. It has always been a matter of passion. However, I do not have time for such things anymore. And if I have to take the time, because the users simply ask for it or the project requires it from me, then I have to decide, whether the project ends or there is an alternative. And the alternative was a fee to cover all the costs (which I have to pay myself) and to justify my time invested. And I think it’s my right to charge a fee for any software I program. If you are not ready to pay this fee, you can also try a manual method. I’ve never made a secret of how it works (quite the contrary!). All a nice rest weekend. I checked the current firmware for XZ2. The previous HEX patch will not work on this device, as Sony has made a few changes. But, you know what? I have a new patch for this. Haha! I will try to make it available for the new devices asap. I can not promise it works yet. But I think I’ll get it already. That’s great news about the xz2 compact! I’ve been wanting to follow your xda thread to see if you have any of us excited new xz2 owners some news but it looks like it’s locked :(. Anyways, can’t wait to hear more news on your progress and I’m more than happy to pay for your hard work and skills. Keep us updated we’re super excited to start enjoying our phones at their full potential! I checked this. The link should work. I just sent you the receipt with the link again. 🙂 If it still doesn’t work, just open a ticket. I have to check this. Thanks! Hi~ sToRm，I cannot use UnionPay cards to pay when using paypal. Will you support Alipay payment in the future? Hi Storm, what about offering the version for older (pre .75) firmwares for free and a version for the newer firmwares for a fee? Perhaps that would solve the XDA issue and make everyone reasonably happy. Thanks for your work! Can i root my xperia xz premium with the newest Android Version? I have made the purchase but I still do not get the license to activate it and be able to use the tool, I am waiting for your comments. Hi~ sToRm, as a Chinese student, how can I buy your xperifix when I can’t use paypal and only have alipay and chinese bank cards? Any news on the XZ2 patch? I want to pay for you for the fix. Hi Storm, I applied the 2.2 version on XZ Premium (G8141) with the version .75 and am very interested in paying the fee for the 2.4 v (completely fair). My question is if I can apply 2.4 v over the 2.2 and later update the android version? Thank you very much for such a wonderful work! Hi Hannier, sure you can use the v2.4+ like older versions before. If you want to update the Android version, you have to flash the firmware and then run XperiFIX again. 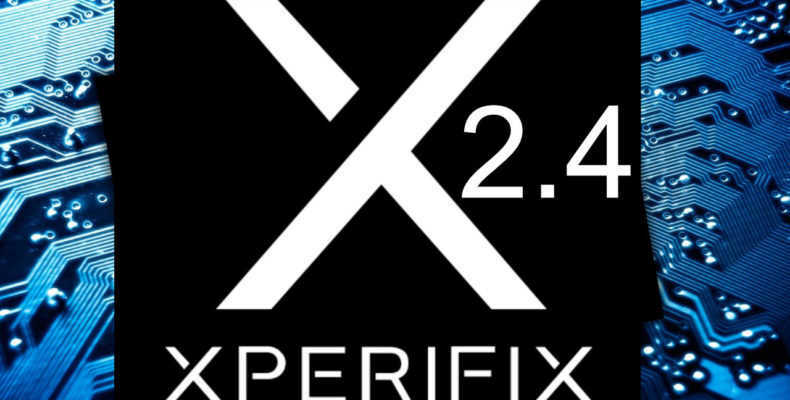 The reason is, that XperiFIX modifies system files and the kernel ramdisk. If you update/flash the firmware, the system files are replaced and a clean boot image will be flashed. So XperiFIX has to do it’s job again. I will post a guide to this in the knowledge base asap. Is there any way to use this to root my Xperia XZ Premium from a macbook? I foolishly sold out and got myself a macbook pro. Now the only windows computer i have access to is my work computer and for security reasons we do not have admin rights to install software. Thoughts? I’m using this software on my MacBook. It is running in a virtual machine created with Parallels running Windows 7. Other Virtual Machine software might work as well. New firmware is out with May patch version! You can also use the current version for new firmware versions. To do this, you can add a new line with the corresponding data in the settings. It should also work if the line of the previous version is edited (changing the version number). It is working like a charme. Yes, there are actually some problems with Magisk 16.4 on our devices. Should stick at 16.3 until the issues are fixed. As long as you keep updating the app so it works with newer firmwares, then there is not one thing wrong with the fee. Anyone who says otherwise is a fool. Time is money and not everyone has the time. Thanks for the project! Don’t let haters get you down. Will you expand more features later? You already can patch newer firmware versions with the integrated device settings. Just copy the line from the previous firmware version and edit the related data. The next XperiFIX update will include the newer versions, too. Can you post some line by line instructions on how to do this in the knowledge base ? In the meantime I’m happy to get a copy via email if it is in draft version only. Thank you !! I will now pay for and download XperiFIX v2.5 that supports XZP build 179, and hopefully you will have another happy customer ? Can you help me with correct data for XZP G8142 fw 47.1.A.12.179? Will it be correct? Especially HEX1/HEX2? head’s up – i tried using xperifix for the may .179 day on an XZ1 Dual – but it failed. i got the device unauthorised message, even after disabling/reenabling USB debugging and revoking/approving priveleges multiple times. Try ‘adb kill-server’ if that seems wrong. i used xperifix for the ..75 update, used N1ghtr08d’s guide and manually drmfixed for the .145 update, but janjan hasn’t released his kernel for .179 yet, so hopefully that’ll solve it. This is unfortunately a problem with TWRP which does not have to do directly with XperiFIX. However, I’m already looking at the whole thing in detail. So far the problem only occurs with the XZ1 series. Maybe I can also find a sustainable solution for this. For the future version 3.0 major changes in the fix are planned, too. I will release a small update to v2.5 in the next few hours, where the current firmware will be supported. Only the recovery image I have to take a closer look, so that the problem can be solved. Probably something to do with the treble support and the partition setup. Do you mean the twrp version is an issue? In theory could I use this to do the drm and magisk and then just adb over twrp? I would like to use this instead of being a slave to kernels being updated. I’ve used my unrooted device for some weeks now and I’m about to start tweaking. Could you add the option to flash Titanium Backup recovery zip files after a new update? I’ll like it as an AIO. Nevertheless, I’ll be buying this. Ich wünsche Ihnen viel Erfolg, liebe aus Afrika. I can gladly include the proposal in the planning. For the version 3.0 as already announced also the flashing of modifications is possible. I still have some features planned, but of course it always takes some time. Many people use XperiFIX and there are less experienced users among them. That’s why I prefer to test innovations in detail, before there are problems. Hi sToRm, I have a question: I want to download the 2.4 update and you wrote that “All users who have a license can continue to use the download link from the received email.”…. but if I use the link from that email, only some error page appears and it says “Sorry but your download link has expired.” So where can I download the update? German: Ich bin auch gerade dabei an der 3er Version zu feilen. Diese wird einige neue Funktionen mit sich bringen und die Prozesse deutlich vereinfachen. Mit der nächsten Version werden auch einige Fehler beseitigt, die bei manchen Benutzern aufgetreten sind. Das ist das Praktische am Ticket Support. Man kann viel Besser damit arbeiten und das Feedback mit in das Projekt einbringen. Falls du noch Probleme beim Download haben solltest, öffne einfach kurz ein Ticket, dann generiere ich eine neue “Receipt” E-Mail mit neuem Link für dich. Auch an dem Bereich wird bald gearbeitet. Ich kümmere mich nur gerade hauptsächlich um die Software, so dass sie möglichst sauber läuft und Benutzern schnellstmöglich geholfen wird, sollte es Probleme geben. Is it possible to redirect to the download if one is coming from an activated/licensed xperifirm? You need to logged in by your activated email. You got a link ti download latest version. Hey st0rm. Are you still planning on doing anything for the XZ2? Hello, can we root the xz premium 8.0.0 (47.1.A.12.145) G8142? Is your tutorial for root xperia xz premium running with version G8142 (47.1.A.12.179)? i have g441 compact xz1 european version, last firmware a.12a.179. i tried several times , but its not working. firstly without debugging usb, and then i switch developer option to enable debugging option. Both possibitilities are not working. No, that’s not correct. It’s working with XperiFIX, but not with the official TWRP build. 😉 But I have patched images for the current XperiFIX version. Please update and try it with v3.0.